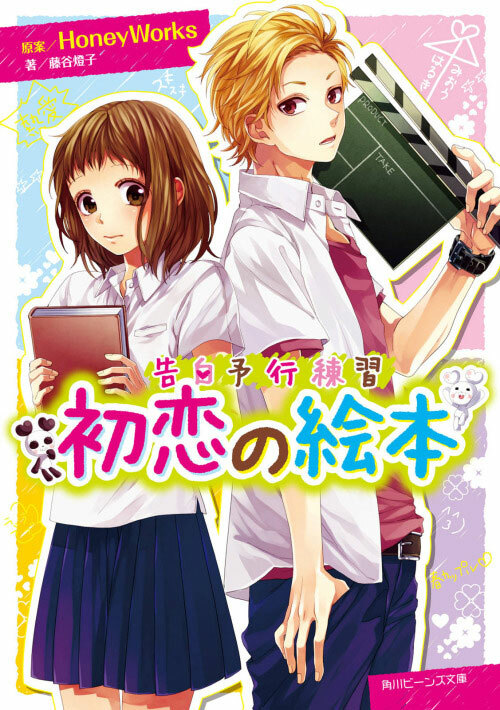 Here’s the intro and first chapter of the novel adaption of HoneyWorks’ “Hatsukoi no Ehon (Picture Book of My First Love)“ about the president of the Art Club, Miou, and the Film Club’s star, Haruki. The two third years from Sakuragaoka High School walk home together every day, but Miou is too shy to tell him her feelings. While helping with his movie, Miou asks him, “Do you have a crush on anyone?” and to her great surprise, Haruki answers, “I do.” And what’s more, Haruki confesses to Natsuki, his childhood friend? !